Wallpaper collections are a dime a dozen on Google Play, but the big G thinks it can do better with its new Android app. 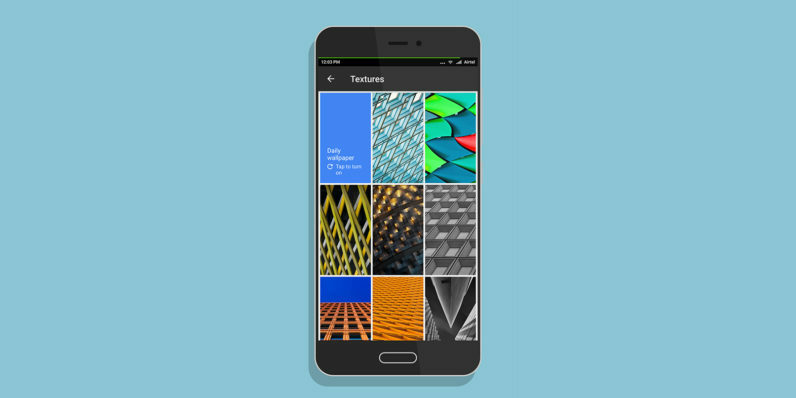 Wallpapers brings a ton of backgrounds to pretty up your device, sorted into categories like Landscapes, Cityscapes, Life, Textures and Earth. The app pulls in imagery from Google Earth and partners like 500px, and so far, the collection looks good. You’ll find loads of striking photos to suit your home screen setup, and it looks like Google has carefully curated pictures that work well with portrait orientation. In addition to rifling through each section and picking one out, you can also set a live wallpaper that changes up your background once a day with images from any of the above categories. The app also lets you look through live and still wallpapers already stored on your device. If you’re running Android 7.0 or newer, you can set different images for your home screen and lock screen. Personally, I enjoy the quirky and colorful original designs offered up by Backdrops, but this is great for when you want photographic backgrounds. You can grab the free app now from Google Play.